Please Note: A full text review of the Nikon D810 is not currently planned. This page is system-required for presenting the (valuable) standard test results linked to above. Use these results to compare the Nikon D810 to similar gear, assisting with your decision making process. 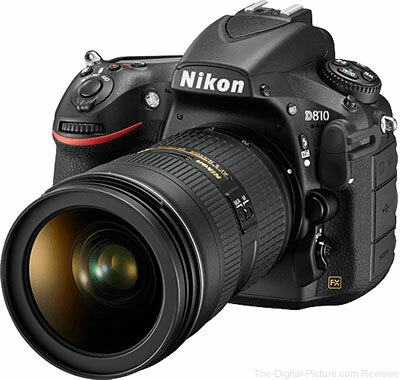 The Nikon D810 is the body we have been using to complete the standardized lens testing for the site. A full review of this camera is not planned at this time.